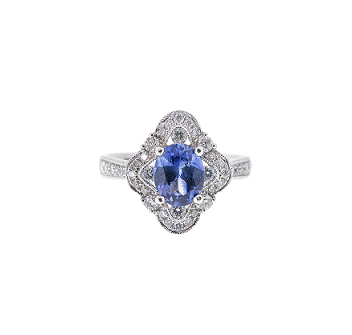 An 18k white gold sapphire and diamond deco style ring. 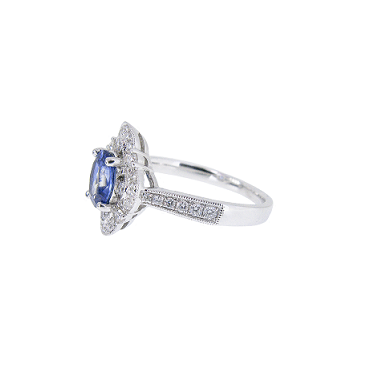 The ring is centrally set with a 0.80ct oval shape sapphire which is surrounded by a diamond set halo and band. 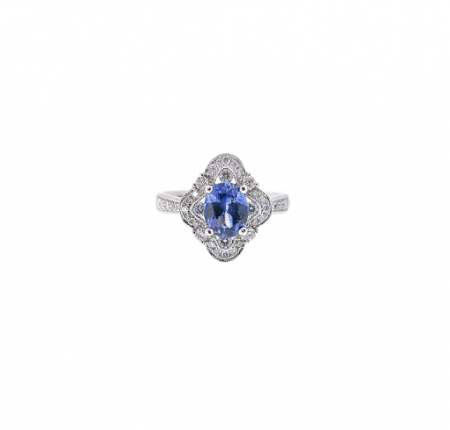 Love deco style jewellery? Check out this ring, bracelet and pair of earrings!